From the people behind both Spruce and Perry's, this behemoth French bistro's replete with flashy design elements that vary from bright red leather banquettes, to a 25ft zinc bar, to 17 al fresco tables, to an elevated (rentable) dining room with a limestone fireplace. 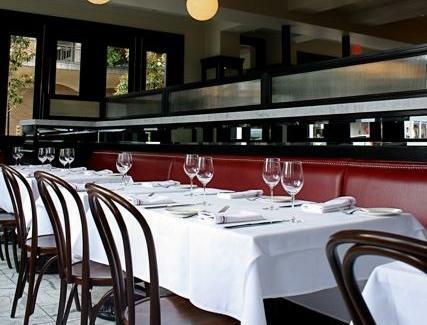 Look for substantial raw bar offerings, plus hearty fare like a two-person cóte de boeuf, a 500-bottle deep (mainly French) wine list, and specialty cocktails that're "French tweaks on American classics", (so...Le Alabama Slammer? ).